Apple is now facing demands from the Justice Department to unlock at least nine iPhones, besides in the one in the San Bernardino attack, supporting the company’s claims that its encryption safeguards are under attack. The tech company is objecting to the demands in at least seven of the nine cases, the New York Times reports. “Apple has not agreed to perform any services on the devices,” Apple attorney Marc J. Zwillinger wrote in a letter unsealed Tuesday in federal court. 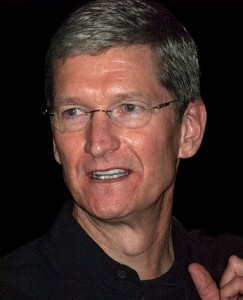 Apple’s chief executive, Timothy D. Cook, said the Justice Department demands will set a dangerous precedent. “Once created, the technique could be used over and over again, on any number of devices,” Apple’s chief executive, Timothy D. Cook, said in a letter to customers. Posted: 2/24/16 at 8:02 AM under News Story.